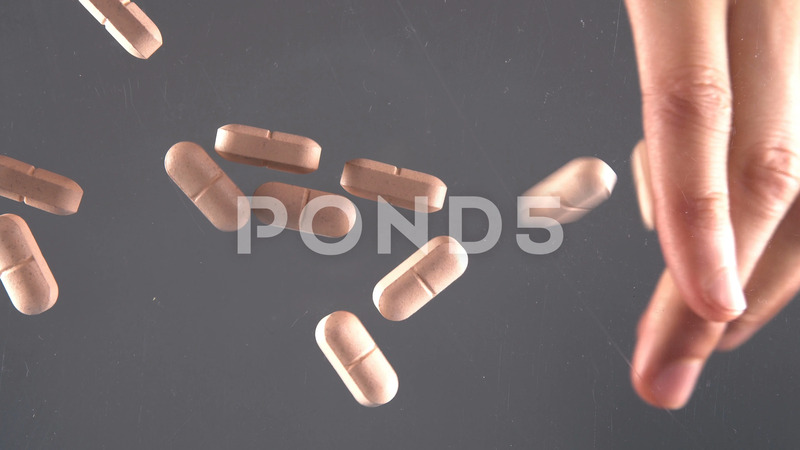 Description: Male hand drops beige pills on transperant surface. Global pharmaceutical industry for billions dollars per year. Pharmaceutical drugs. 4k.